Hyundai Motor Group, the world's fifth-biggest carmaker by sales, said Thursday it is bracing for weak sales in three major markets next year due to the slowing global economy, trade disputes and rising lending rates. In a seminar held at the carmaker's headquarters in southern Seoul, the Global Business Intelligence Center, a think tank under the South Korean carmaker, forecast global vehicle sales will fall 0.1 percent to 92.49 million units in 2019 from an estimated 92.44 million units this year. "Trade tensions between Washington and Beijing, slower growth in China and stricter regulations on diesel cars in Europe are all set to further weigh down demand in those significant markets in 2019," said Hyundai Motor Vice President Lee Bo-sung, who heads the center. The Hyundai research institute forecast vehicle sales of 17 million in the U.S. in the new year, down 1.4 percent from an estimated 17.25 million for 2018, with sales in Europe to dip 0.2 percent on-year to 17.8 million units from 17.84 million. Sales in China are expected to move up 0.2 percent to 23.2 million from 23.15 million. In the carmaker's home market of South Korea, increasing rates and sluggish growth are all likely to affect consumer sentiment, Lee said. Vehicle sales are projected to fall 1 percent to 1.79 million autos from 1.81 million in the cited period, he added. On Wednesday (US time), the US Federal Reserve raised its key interest rate for the fourth time this year to a range of 2.25 percent to 2.5 percent. Two additional US rate rises are likely next year. South Korea's policy rate stands at 1.75 percent. But in emerging markets such as India, Brazil and Russia, combined vehicle sales are expected to grow 7.7 percent to 8.28 million autos in 2019 from an estimated 7.67 million in 2018, the senior executive predicted. The sale of electric vehicles, including plug-in electric and battery electric cars, will continue to rise to reach 4.01 million units from 3.37 million during the 2018-2019 period, he said. 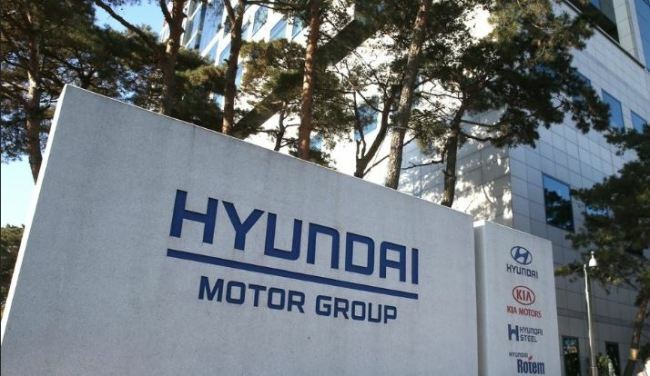 Hyundai Motor Co. and Kia Motors Corp., two key affiliates of Hyundai Motor Group, originally aimed to sell a combined 7.55 million vehicles this year, up 4.1 percent from the 7.25 million they sold last year. Analysts, however, said the target may not be reachable due mainly to a lack of competitive sport utility vehicle models in the US and Chinese markets.